The Wellbeing Programme is a holistic class using key strengths from a number of disciplines. The class has a combination of Dance / Aerobic routines to raise the heart rate and burn calories. Yoga / Pilates / Alexander Technique routines with flowing movements to improve balance, core & joint strength, flexibility and posture. Muscle toning sequences using own body resistance and/or light weights to tone the body and create inch loss. Thai Chi to improve balance and flow of energy through the body. Mindfulness and Meditation to reduce stress and create a sense calmness & relaxation. Improved: tone, endurance, balance, kinaesthetic awareness, flexibility, joint stability, coordination, muscular strength and posture including a flatter stomach. Greater: relaxation, joint mobility, core strength and stability. Increased: efficiency in respiratory and circulatory systems. Reduced: stress levels, lower back pain and risk of injury. 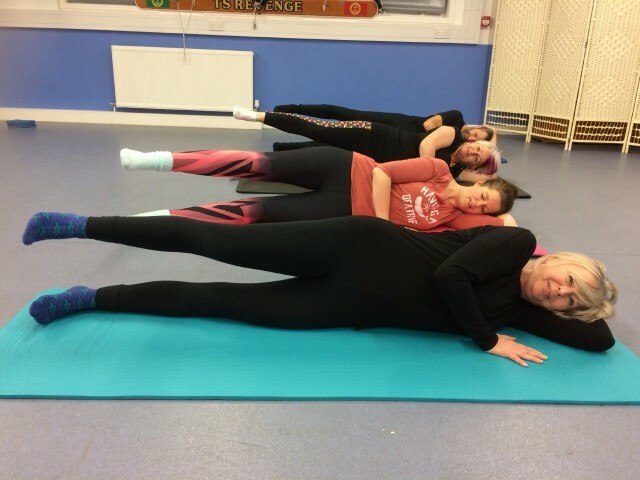 Stronger: core, pelvic floor, immune system and improved lymphatic drainage. Please enquire if this is something you are interested in.